Preaching can feel like a challenge as we consider familiar Bible passages and bringing the living Word to our listeners. Together we’ll dig into the hallmarks of good preaching, including tips on preparation and resources, paying attention to the context in which we preach, sermon delivery, dos and don’ts. This is about preaching that transforms, not just informs. Large group presentation and small working groups will be utilized and our presenters will preach at our worship services. $50 per person, includes program, Friday supper, Saturday lunch. The deadline for registration is Friday, March 15. If the cost of Convocation is a financial burden for you, contact Pastor Carol Mapa at 308-532-0250, menu option 4, or pma@nebraskasynod.org. Confidential scholarship funds are available. If you need help with online registration, please call our Omaha office at 402-896-5311. A block of rooms has been reserved at Cobblestone Inn and Suites (308-767-2060) and Boarders Inn and Suites (308-872-6428). 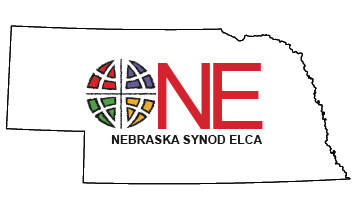 Mention “Nebraska Synod PMA” to get the special rate of $85 per night, including breakfast. Make your own reservations by calling the motel directly. The deadline reserving a room at this price is March 7. Bishop Brian Maas grew up in Pierce, Nebraska where he was baptized and confirmed at Christ Lutheran Church. He attended Nebraska Wesleyan University where he met his wife Debbie, as well as Yale Divinity School and the Lutheran Theological Seminary at Gettysburg. Ordained in 1992 following an internship at Sinai Lutheran in Fremont, he served as Pastor of Emmanuel Lutheran, Tekamah; Immanuel Lutheran, Kansas City, Missouri; and First Lutheran, Lincoln. He was elected Bishop of the Nebraska Synod in 2012 and re-elected in 2018. He and Debbie, a therapist and school counselor, live in Omaha. They have two adult children, Nathan and Becca. Pastor Brian Hiortdahl hails from Southern California, where most of his family still lives. Brian attended Lutheran schools all his life, which nourished his passion for God’s Word and human words, and spent many weekends in his grandmother’s backyard, either preaching to his stuffed animals or playing baseball. He graduated with a B.A. in History and Religion from California Lutheran University in 1992 and a M.Div. from Lutheran Theological Southern Seminary in Columbia, South Carolina in 1997. Pastor Brian has served congregations in Chico, CA, Chicago, IL and Overland Park, KS for five before accepting the call to Shepherd of the Valley in West Hills, CA last fall. He was chair of the Central States Synod Reformation 500 steering committee and is an occasional contributor to Living Lutheran magazine and the ELCA’s Faith Lens weblog. Brian still loves church and baseball. PMA Convocation counts for six of the 12 hours of continuing education required of PMAs. PMA students are required to attend two Convocations in order to be certified.